In Connecticut’s only open congressional contest this year, Democrat Jahana Hayes and Republican Manny Santos are hoping to win the 5th Congressional District’s seat in the U.S. House of Representatives. 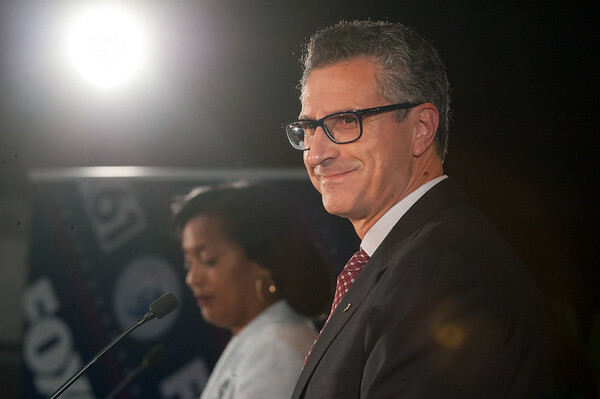 Hayes, 2016’s National Teacher of the Year, and Santos, a former mayor of Meriden, have differentiated themselves from each other often during their campaigns. They have debated four times and have conveyed different vi, differing sharply on issues including the environment, college debt and the national economy. Sitting down with The Herald earlier this year, Hayes said she thinks the timing is right for a candidate such as herself. Hayes narrowly lost the Democratic endorsement to former Simsbury First Selectman Mary Glassman in May, but handily beat Glassman in August’s primary election. 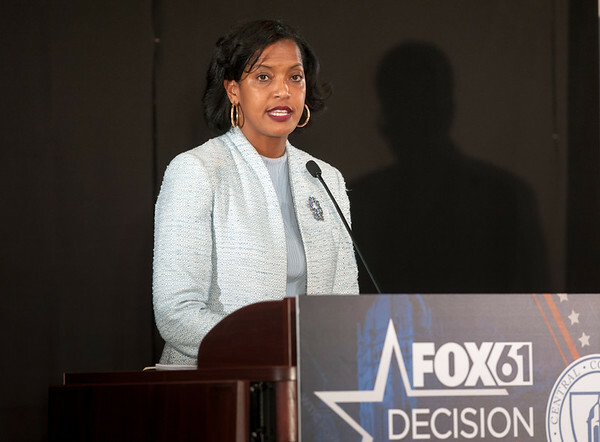 As a former teacher still involved in schools, Hayes hopes she’ll be appointed to a commission on education if elected. She has said she’d like to focus on making the economy great for everyone and making sure Connecticut gets its fair share of federal money. Pay equity and healthcare are also areas in which Hayes said she’ll be involved. Should she win on Nov. 6, Hayes would be the first African-American woman to represent any New England state in Congress. Santos, the GOP candidate, has often aligned himself with President Donald Trump. The former Meriden mayor came to the U.S. from Portugal in 1974 and has called Connecticut home ever since. Santos was endorsed by the state Republican Party in May and beat two challengers in the primary election. He has said he’s in favor of most policies enacted by the Republican-controlled Congress during the first two years of Trump’s administration, notably the Tax Cuts and Jobs Act of 2017. Santos has said many regulations are stifling business, so he’s in favor of eliminating certain environmental regulations that he says are overreaching. Santos also has said he’d focus on continuing to strengthen the economy and supporting services and programs for veterans. Santos is a veteran himself, serving in the Marine Corps for four years as a fighter jet mechanic. The country’s immigration policy will also be one of his main focuses should he win election. Santos supports strengthening the country’s border with Mexico. The 5th Congressional District is considered Connecticut’s most competitive district. While it usually votes Democratic in presidential elections, it has recently voted for Republicans for governor. Before now-U.S. Sen. Chris Murphy, a Democrat, won the House seat, Republican Nancy Johnson had represented the district for more than 20 years. Posted in New Britain Herald, Candidates, General News, New Britain, State on Tuesday, 30 October 2018 21:10. Updated: Tuesday, 30 October 2018 21:12.